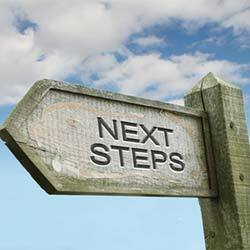 Not too long ago, I wrote an article, The 5 Cornerstones of a Profitable Lifestyle Business. And while I did cover the cornerstones there, I did not cover everything, because to be honest, when you’re starting out, you don’t need to know everything. 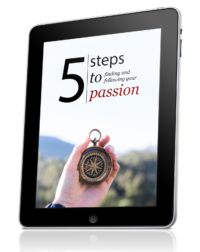 However, today I want to give you a more complete view of the steps it takes to build a sustainable lifestyle business around your passion. A roadmap, if you will. The absolute first step is mindset. This is why one of the training modules in the Lifestyle Liberation Academy is about mindset. Mindset lays the foundation for your success. Your mindset will determine your results. However, the “proper” mindset is not some magical thing you have to get. You already have everything you need. Mindset simply comes down to how you react to challenges. You will still freak out. That’s normal, and to be expected. Most people don’t break mindset down. They don’t dive deep into it. They just tell you that you need the “proper mindset” and leave it at that. But there’s much more to it than that, because mindset is just a word pointing to something deeper. Mindset is the way you relate (or react), to challenges. This is where most people get stuck, because they go for perfection. Yes, you have to know where to focus, but once you start building an audience, they will tell you what you can help them with. You can’t figure out the perfect formula before you start. You have to dive in and see what happens. It also helps to know what questions to ask, which is why I use workbooks in the Lifestyle Liberation Academy. They help you implement, clarify, and take action. This comes down to looking at what you are passionate about, but also uncovering what people are already spending money on. If you don’t stand out from the crowd, you might as well give up and go home. But it’s not all doom and gloom, because again, you won’t get this perfect right away. When I started Wake Up Cloud, I didn’t know anything about standing out, but I still got to 1,012 subscribers in 101 days. Sometimes standing out simply means that you focus on solving a certain problem. For example, if you’re into personal development, you might focus on just dealing with overcoming fear, instead of general personal development. The bottom line is that if you don’t stand out, building your business may take longer, but you can still succeed through sheer determination. You also need a home base if you want to build an online business. You need a website that is designed to convert readers into customers. This doesn’t mean you see people as numbers. It means you realize that in order for you to really help people, you have to nudge them to your deeper material, your paid products and services. Because if you can’t support yourself, you can’t share what you know. Your home base helps people begin to know, like and trust you, and then nudges them to go deeper. But just having a home base is not enough. It also needs to provide value. That’s where magnetic content comes in. You’ve heard all the buzz about content marketing, and how helping people with content can do wonders for your business. Content marketing is nothing new. It has been used for decades in soap operas and DIY TV shows. The most powerful of these if you want to build an advice-based online business are the first two. When you help people or inspire them, they will be thankful, and they will want more. No longer do we need to rely on salesmen to build a business. You can simply help people solve problems. No shady marketing tactics needed. We’ll dive deeper into leveraging content marketing in the right way in the Academy. One of the biggest mistakes I see people make is not building an email list. If you want to build an audience that supports you, you have to build a relationship with them. Sure, you could use your blog’s RSS feed, but that’s not enough. Chances are you’ll be one of dozens (if not hundreds) of other blogs in a feed reader. With an email list, people invite you into their inbox. That’s powerful. You can then deliver exclusive content, specific messages, and send relevant product offers to your audience. So if you’re serious about building a lifestyle business, start building an email list as soon as you get your website up. If you don’t have traffic, you don’t have a business. Generating traffic to your website has changed over the years. Just three years ago, when I was doing article marketing, you could use article directories to drive a significant amount of traffic to your site. That no longer works as well, because of changes Google has made. It’s not bad. It just means we have to adapt. I’m constantly improving what I do, and learning new things, and I share all of that with you here on the blog, and in my premium courses. Attracting an audience means figuring out where the people you serve hang out, and then helping them. There’s no shortage of ways to attract an audience. The core principle is simply helping people solve their problems. Once you’ve got an audience, and you’ve got a growing email list, it’s time to craft an offer. Without an offer, you don’t have a real business. The good news is that you don’t have to wait years until you start making money with your business. You can figure out what your audience wants and then create it for them. This is what I did with my Live Your Passion Course and this is what I’m doing with Lifestyle Liberation Academy. I simply listen to you via comments, emails and surveys. I look at the problems you bump into, and I help you eliminate those problems. There’s nothing magical about creating products. Yes, you will have to experiment, and your first product may not be a hit, but it doesn’t matter. What matters is that you keep moving forward and learning. Last week I recorded an interview with Chris Garrett. We talked about how someone just starting out can get noticed and build an audience of loyal fans. And one of the key things that kept popping up was connections. We humans are social beings, so the more of the right people you know, the better. Now, I’m not a big fan of networking just for the sake of networking. But I do enjoy connecting with cool people. I mentioned that I’m an introvert in my article on the lessons I learned from building a 10,000 subscriber blog, so making connections (or friends) does not come easy to me. But when I do make them, the connections tend to be deeper and long-lasting. Last, but not least, this takes time. Building a lifestyle business is often unglamorous. For me, it took about three years to figure things out, but today I’m doing what I love. I have the freedom to do what I want, when I want, and from where I want. It doesn’t have to take that long for you though. In the end, what matters is that you keep moving forward, because if you do that, and if you learn from someone who is where you want to be, you will succeed. Many marketers try to sell you on the idea that you can make $12,421.44 in 30 days, if you just implement their magic strategies. But it doesn’t work like that. I share the truth with you, because when you know what to expect, you’re more likely to succeed. It may mean that I’ll sell less products and services, but I don’t care. I want to work with people who are passionate and ready to put in the work, because that is what makes my heart sing. So while building a lifestyle business may at times be unglamorous, it is definitely worth it, and it is a lot of fun. It’s amazing for me to be able to create my own schedule, to be able to live wherever I want, and to do what I want. 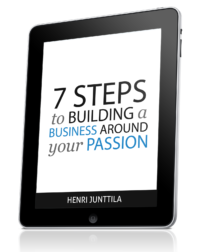 In summary, there are proven steps you can take to build an online business around your passion. You should still use what resonates with you, but that doesn’t mean you should re-invent the wheel. You can save a lot of time, money and frustration, by learning what works and what doesn’t, from someone you trust. And that’s what I wanted to do with this article. I wanted to share with you the process that has worked for me, and my clients. This process is not something I’ve made up. It’s something I’ve discovered as I’ve kept experimenting, and as I’ve worked with clients to help them move forward with their dreams and businesses. If you’re already signed up for the Lifestyle Liberation Newsletter, then you don’t have to sign-up again. ok, thx, my bad, I guess. No problem. These things can be a hassle sometimes, so I totally understand. I whole heartedly agree with step 1. I developed a program titled: ‘Change Your Mindset, Change Your Life’ as a compliment to my book: ‘How To Change Your Life One Day At A Time’ for this very reason. If we don’t address our mindset first – success will be a massive uphill battle all the way. You’re right on, Stuart. Your mindset is the foundation. Awesome video… I really enjoyed it and can’t wait for the next one. I’m also looking forward to the academy. What software did you use to record this because it looks really crisp, clear and professional. If you don’t know what Eric is referring to here, it’s the video series in the Lifestyle Liberation Newsletter. Eric, I used Screenflow to record and Keynote for the presentation on my mac. Both did their job. Keynote has beautiful typography. I totally agree with the first point abount Mindset. I think the biggest challenge is to make your mind ready to get started. I love reading your blogs. I hate reading other blogs, no matter how well written they are, because they use small text size and they just say too much for me to digest in one sitting (as a mum I’m always in a hurry). I’m learning something about your writing style as much as I’m learning how to turn my passion into a business. Many thanks, Henri! Hi! You may remember me from an earlier e-mail I sent you regarding a link I posted on my website(s) linking to “Write to Done”, although you informed me that you do not use that site much anymore. Well, I have checked out many things you have written both there and on here, and I will likely add a link to “Wake up Cloud”, because I think that you have a lot of great advice and knowledge to offer. I know that you have helped to educate me, and will affect others in the same way. “Lorraine’s Learnings” and “Living My Life” will hopefully educate these same people! Write to Done is not actually my site, but I do write articles for them from time to time. I’m glad you’ve benefited from the content I put out. I really appreciate you spreading the word and taking the time to comment here. If you ever have questions, you know where to find me.